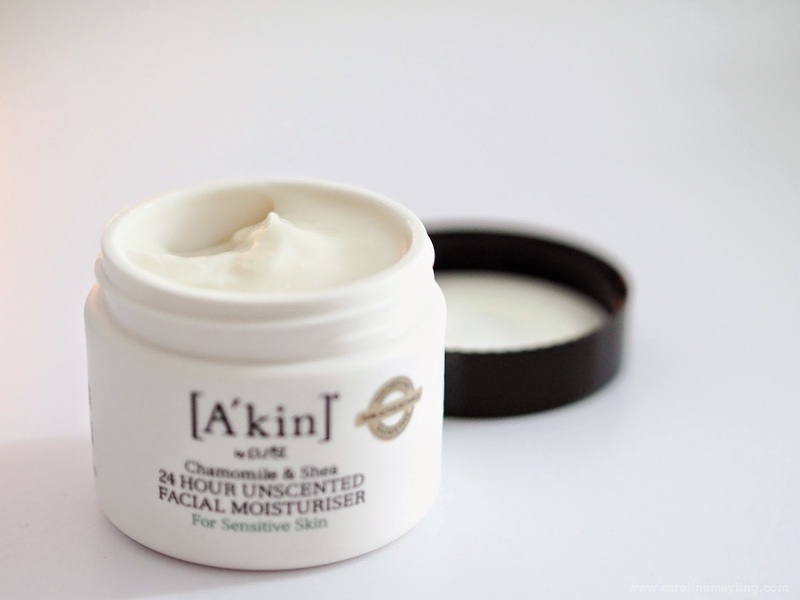 I am glad that The Love Jars introduced me to this brand - A'kin - that offers a range of products that suitable for sensitive skin type! I am running out of my moisturizer and I told them that I have a very sensitive skin, hence I am very particular when choosing the right moisturizer for my sensitive skin. Guess what? Here's the Chamomile & Shea 24-hour Unscented Facial Moisturizer and Unscented Very Gentle Shampoo! The Chamomile & Shea 24-hour Unscented Facial Moisturizer, is fragrance free and formulated with selected combinations of natural soothing actives such as Vitamin B5 and Vitamin E, as well as Echium oil (which is a highly concentrated source of Omegas 9, 3 & 6 essential fatty acids). It is not only helps to moisturize, but also help to soothe and comfort irritated sensitive skin. When I first opened it, I was a bit reluctant to try it out because it's not a gel type moisturizer. I always avoid cream type moisturizer because it's normally too rich for my skin type. I then use a spatula to scoop it out and applied on my hand, it isn't really a cream consistency, it is very lightweight and more liquid consistency that makes me feel relief. I applied it every morning and night after washed my face for almost a month already and it didn't cause any breakout on my face! And guess what? It also works nicely with my foundation, it keeps my skin hydrated without leaving any dry patches when I apply makeup on my face. 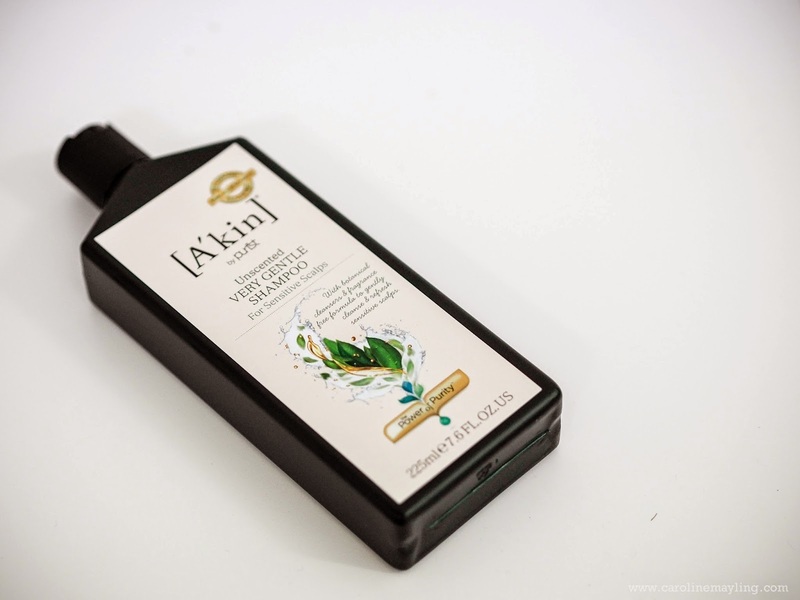 I also gave a try to the Unscented Very Gentle Shampoo by A'kin. I always choose shampoo with natural ingredients and fewer or none chemicals due to my somewhat sensitive scalp. This shampoo has six powerful yet gentle botanical cleansers blended in a pH neutral unscented formula to calm and soothe the sensitive scalp. This shampoo comes in clear transparent liquid, fragrance-free and does not produce lots of foam as normal shampoo would do. I am quite used to less foam shampoo, hence it is not really something new to me. 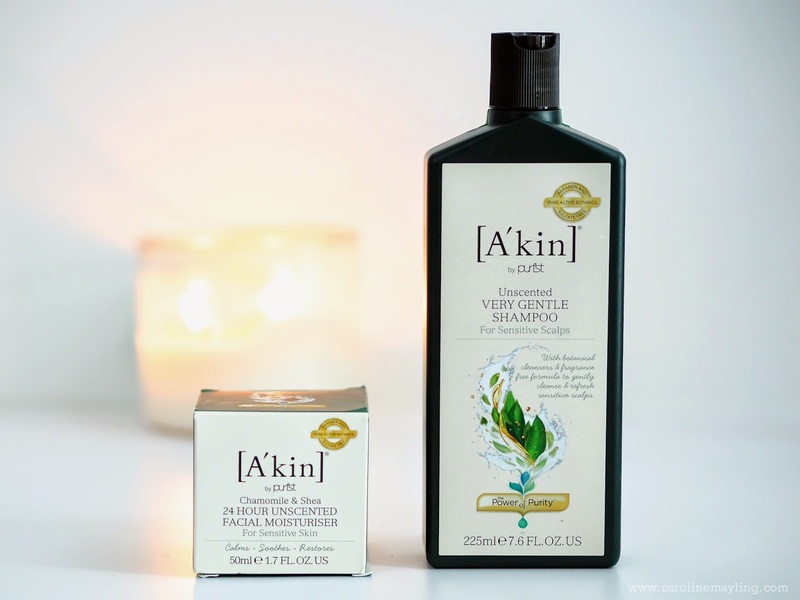 I personally love how this shampoo cleanses my scalp and leave it fresh after each shampoo! Of course, it's important to condition our hair too! These are my remedy for sensitive skin and sensitive scalp! What about you? Do let me know if you have any other recommendation for sensitive skin! p.s: Enjoy RM15 discount off your first purchase by subscribing to The Love Jars newsletter! omo! how come! >.< hope u found it somewhereeeee ah, else sayang ler.